Every year, Second Harvest rescues more than 12 million pounds of fresh, healthy, perishable surplus food from across the supply chain. This rescued food—previously destined for the landfill—is used to produce 34,000 nourishing meals a day, which are delivered to 373 social service agencies in Toronto and 14 reciprocal agency partners. With a dual mission of environmental protection and hunger relief, all of Second Harvest’s programs and services operate sustainably and holistically. Harvest Kitchens is no different. 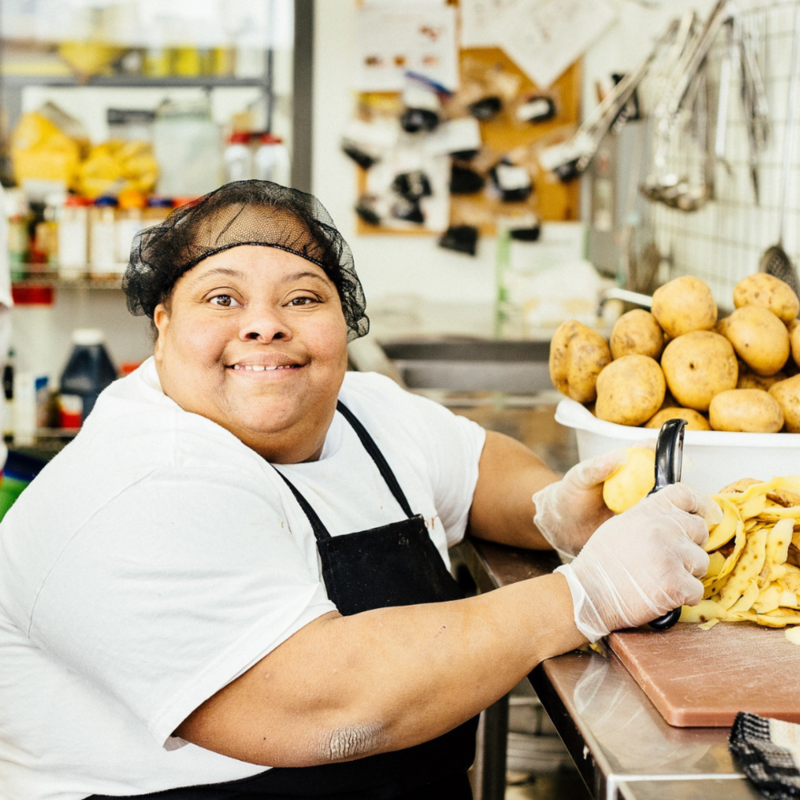 This innovative program enables trainees to develop industry-specific skills required to succeed in the hospitality field, helping them achieve a self-sufficient future while maximizing access to nutritious food for Toronto’s most vulnerable and underserved populations. Second Harvest drivers deliver rescued food to five Harvest Kitchen partner agencies, with a focus on fresh fruit, vegetables, dairy and meat. Working under the supervision of food service professionals, Harvest Kitchen trainees learn valuable culinary skills while turning the rescued food into nourishing meals. Second Harvest drivers pick up the Harvest Kitchen meal trays and deliver them to partner social service organizations that lack adequate kitchen facilities and resources to prepare foods. Harvest Kitchen meals are served to families and individuals in high-need communities. In 2018, 180 trainees participated in the program and produced more than 405,000 nourishing meals for 49,000 individuals across Toronto. 91 percent of Harvest Kitchen graduates went on to find employment in the culinary field or enroll in continuing education. Through the generosity of local restaurants and their patrons, we recently raised more than one thousand dollars for the Harvest Kitchens program through our “Culinary Journey” contest. We look forward to continuing our fundraising efforts for Second Harvest in 2019. You can support their mission by making a donation to our foundation today.